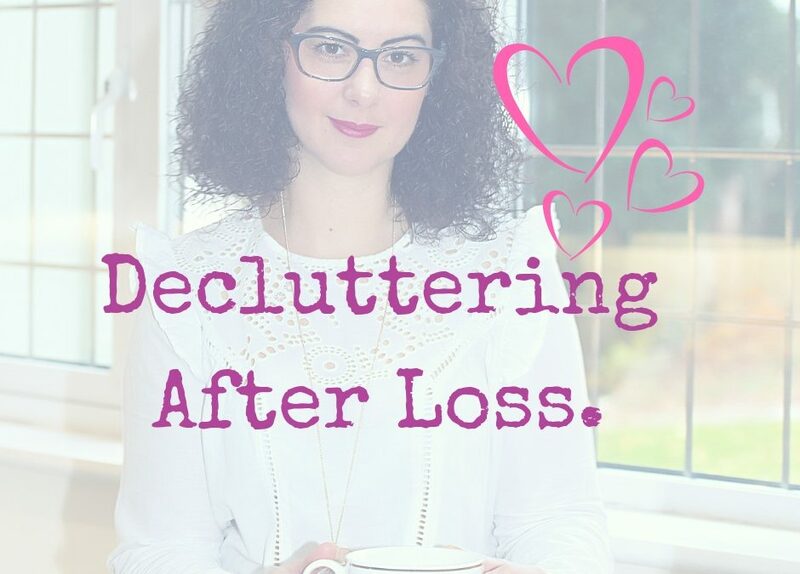 Clearing out a loved one’s possessions after loss is not as simple as deciding which of those items “spark joy” and saying “thank you” (I do love Marie Kondo by the way, but when you’re grieving I feel it’s a little more complex). Many of us feel overwhelmed by the idea of the task, let alone the process of letting go of those material possessions. It feels like a secondary loss. After my mum suddenly passed away, my dad (god bless his soul) went on a ‘clearing out’ rampage just days later. I wasn’t given the opportunity to participate or request any keepsakes. It hurt. I must add, we weren’t aware at the time that he had dementia which resulted in his irrational behaviour so all was forgiven. 1. Decide when the time is right for you – not when others say so (unless of course you are bound by legal time restraints, such as a tenancy coming to an end. You’ll know when the timing is right because it no longer feels like a betrayal. 2. Focus on ways to reduce the pain of this task and work with your emotions, not against them. Accept that the process will be emotional (regardless of how much time has passed). “The memories and love reside in your heart, not in their stuff”. Me. Remember that it’s ok to be upset. Better out than in so find an outlet through your journal or by talking about it with a friend. Decide whether you’d like to do this alone or ask for some support. If you would like some support, consider who would be helpful. Plan and prioritise. What order do you want to go through things? Room-by-room often makes sense, but decide what will work best for you. Chunk it down and pace yourself. How much time will you spend per “session” going through items? Keep in mind you will probably rediscover objects you haven’t seen in a long time and continuous reminders of the person you’ve lost. Take breaks if it feels too much. Remember the good times. Spend some time with the items that remind of you of happier times and wonder down memory lane. Decide whether you’d like to pass on any items. Make sure to ask in advance and be very specific. As in my own experience mentioned above, chucking out items that other family members find valuable can be a source of conflict. Donate to a charity shop. Choosing your loved one’s charity of choice can make you feel better. Think if it as passing them on to somebody else so they can create happy memories too. If you’re unsure about particular items, keep it for a while longer and make the decision another time. What’s the rush? When there’s tons of stuff you want to keep, think outside the box. How about scanning photos and keeping them digitally? Or taking a photo of an item you’d like to remember. The task of deciding when to part with a loved one’s possessions and exactly what to part with need only suit one person – you. The choices are yours to make. It’s not easy so when the time is right, you know what you have to do. There’s no right or wrong way to do this, only what feels the least painful for you. Feeling stuck in making a plan for this part of your journey? You’re not alone and if you feel like you need some support then great. Find out more about how we can do this together. 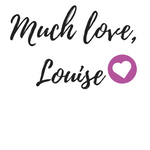 Excellent blog Louise! When so lost my Dad 9 years ago this June,My family experienced some of the same feelings that you described! I also feel that with loss of a loved one we all have our time to grieve and some of us take longer as far as parting with their material possessions! A deep bow and much thanks for sharing your innermost feelings and thoughts on this very important subject! Thank you for sharing too! You’re very welcome. I hope it helps. *deep bowing* back.